Apple today announced its new curated news subscription service called Apple News+ in the US and Canada. 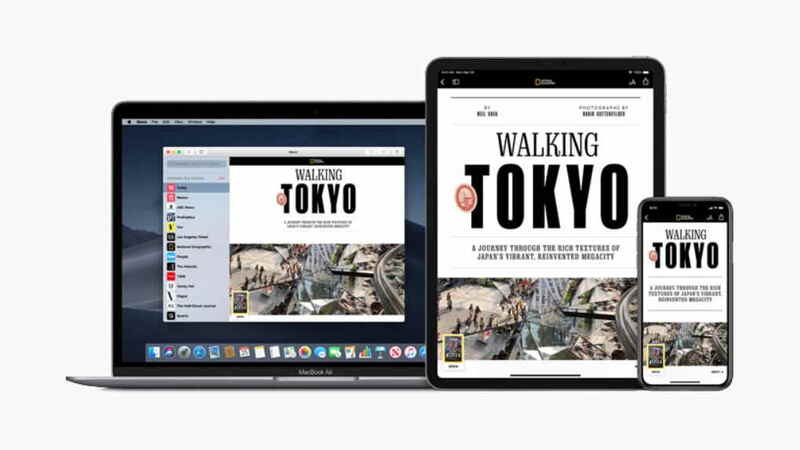 The new Apple News+ service is said to bring curated news from over 300 popular magazines, leading newspapers and digital publishers within the Apple News app for iPhone, iPad, and Mac. Apple News+ will be available in the US and Canada for $9.99 and $12.99 Per Month. In its official announcement post, Apple said that existing Apple News users in the US, Canada, UK, and Australia will be free from subscription and can enjoy the free news experience within the Apple new app on iPhone, iPad, and Mac. They will also be able to access the Top Stories, Trending Stories and a personalized feed of articles. The Apple News+ will feature news from some of the very popular and renowned news publication channels in the US, such as Vogue, National Geographic Magazine, People, ELLE, The Wall Street Journal and Los Angeles Times. Apple News+ subscribers will also be able to access current and past issues and individual articles from magazines such as The Atlantic, Better Homes & Gardens and more. According to the blog post, Apple News+ features magazines in richly designed layouts, featuring animated covers, vivid photography and bold typography optimized for iPhone, iPad and Mac. Apple News+ is now available in the US for $9.99 a month and in Canada for $12.99 a month. Apple is also offering a free one-month trial for users who sign up for the service, and the plan will automatically be renewed after the trial ends. To sign up for Apple News+, users will need to update to iOS 12.2 or macOS 10.14.4. Through Family Sharing, and Apple News+ subscriber will be able to share his subscription up to his six family members. Apple News+ service will be available in the UK and Australia later this year.